The vivo vivo 1813 has received 8,326 points in multi-score test and 2,371 points in the single-core test on Geekbench. The Chinese smartphone manufacturer Vivo has recently launched its premium new-generation Vivo Nex for the masses. Apparently, the company is also working towards another smartphone which has been spotted out in the wild. 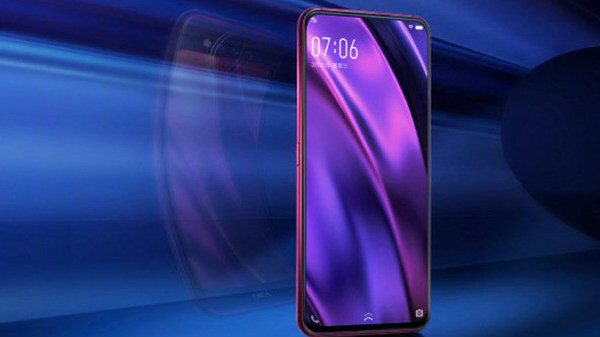 The new Vivo smartphone was first spotted by Slashleaks and the device is said to pack some top-of-the-line features which will offer a premium user experience. 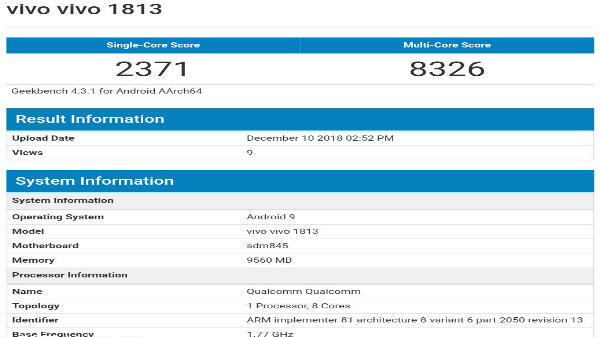 The suggested upcoming Vivo smartphone has also been listed on the popular benchmarking website GeekBench. The smartphone listed on the website comes with a model number "vivo vivo 1813". Considering that Vivo had earlier released the Vivo Z31 and Vivo Z3 in its hometown China that comes with a model numbers V1813A and V1813BA respectively, it could be very well possible that the upcoming device might be a variant of the Vivo Z3 series of smartphones and could be the Vivo Z3 Pro. The suggested variant of the Vivo device comes with 10GB of RAM and is said to be different than that of the recently launched Vivo NEX Dual Display Edition. The GeekBench listing of the mystery Vivo smartphone reveals the benchmark scores of the device. The vivo vivo 1813 has received 8,326 points in multi-score test and 2,371 points in the single-core test. 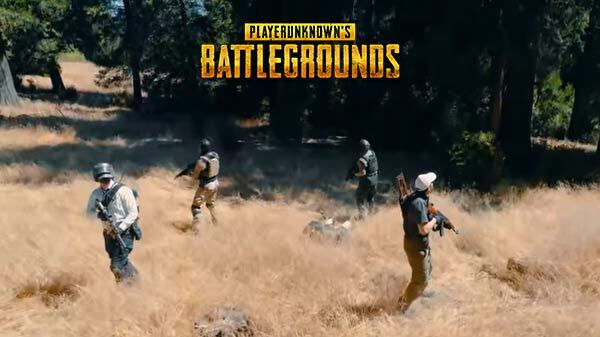 The online listing of the smartphone does not reveal any specific information of the rumored smartphone; however, the smartphone appears to be running on Android 9 Pie. As mentioned earlier, the smartphone was spotted with massive 10GB of RAM and Snapdragon 845 chipset. This suggests that the device could be the next premium offering by Vivo. Just to recall, Vivo had recently announced its second-generation Vivo Nex smartphone for the masses. 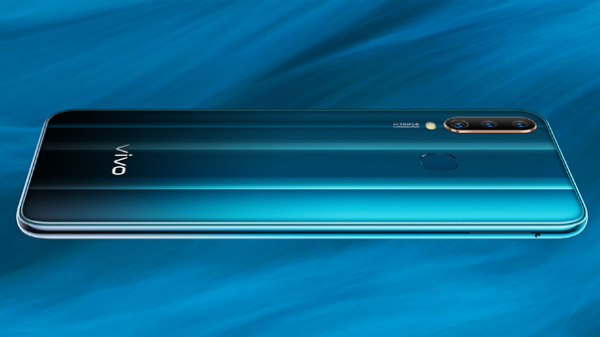 The Vivo Nex Dual Display Edition as the name suggests adorns two displays. Up front, there is a 6.39-inch OLED display panel that has a screen resolution of 2340 x 1080 pixels. There is also an in-display fingerprint scanner for device security at the front panel. At the rear, there is a 5.49-inch OLED panel which offers a screen resolution of 1080 x 1920 pixels. Under the hood, the device is fuelled by a Snapdragon 845 chipset which is paired with 10GB of RAM and 256GB of native storage.